Don’t use model pictures with high resolutions. Try to provide selfies to your users. While you are sharing statuses, be realistic as your real life. Try to make your shared pictures unique via reversing them. Creating a fake account for popular people doesn’t work now since there are verified accounts. Try to be active as much as you can. See Also: Do You Go to Jail for Making a Fake Instagram Account? 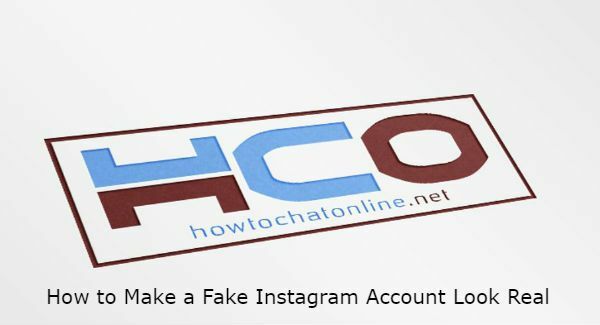 You will need to do the steps which we have mentioned above for making a fake Instagram account real. Let’s talk about those steps deeper and how to make them in your account. Why you shouldn’t use model pictures? It is because they are popular and you generally find high resolution pictures of them. Of course people have those pictures with high resolution too but it is very easy to figure out its belong to model or not. Some of people can still believe that you are real but not all them. Besides those pictures generally have copyright. We recommend you to not to use those pictures. Selfie pictures are one of the most important tools for you. Sometimes selfies are verifying tools for some websites. So they are quite convincing. Provide more selfies and get more convincing account on Instagram. You will need to get attention of people, that’s why you are creating a fake account. However, you will also need to be realistic as much as you can… Sometimes sharing what you are doing in your real life will make sense for this. While you are trying to get attention of people, don’t leave the reality. Save the picture on your computer’s desktop. Open the picture from your computer. Click on Image at the top menu. Then click on “File” at the top menu and then save as. Creating a fake account for someone popular does not make any sense because there are almost official and verified account of every popular person on the world.